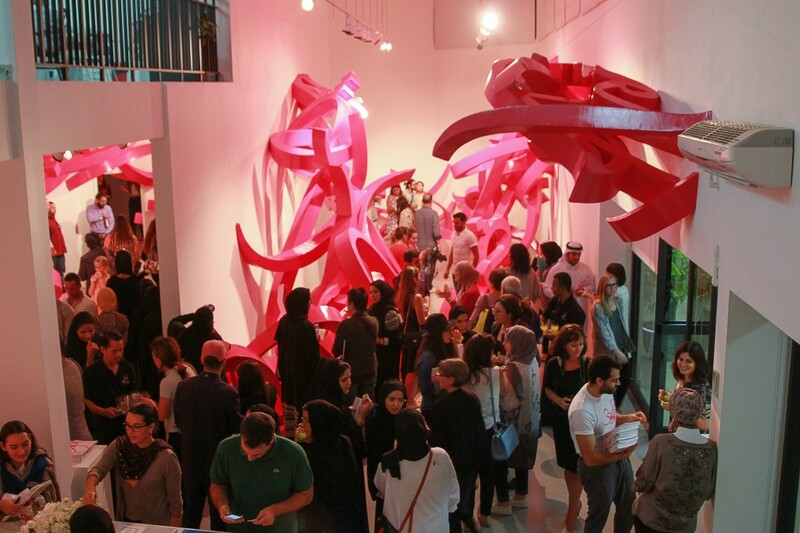 El Seed finished off a year long residency in Dubai with a solo exhibition at Tashkeel titled “Declaration”. 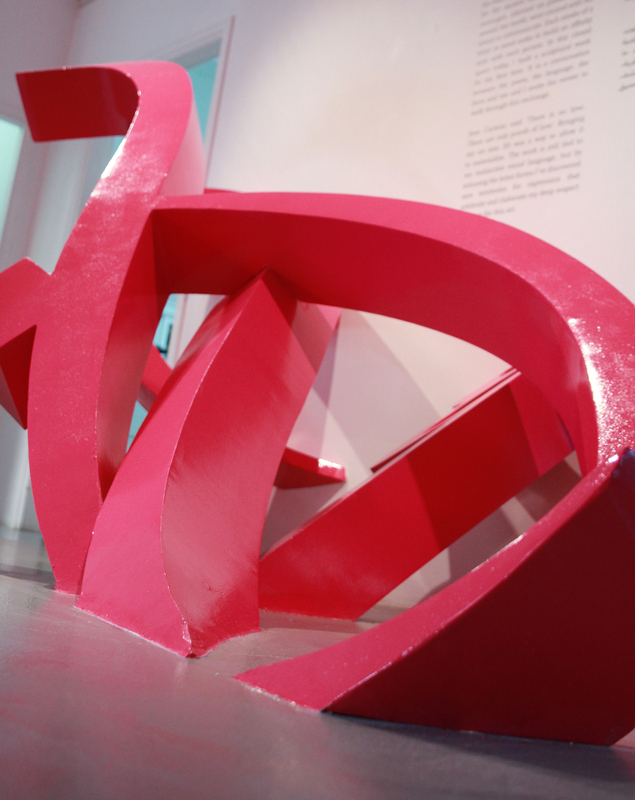 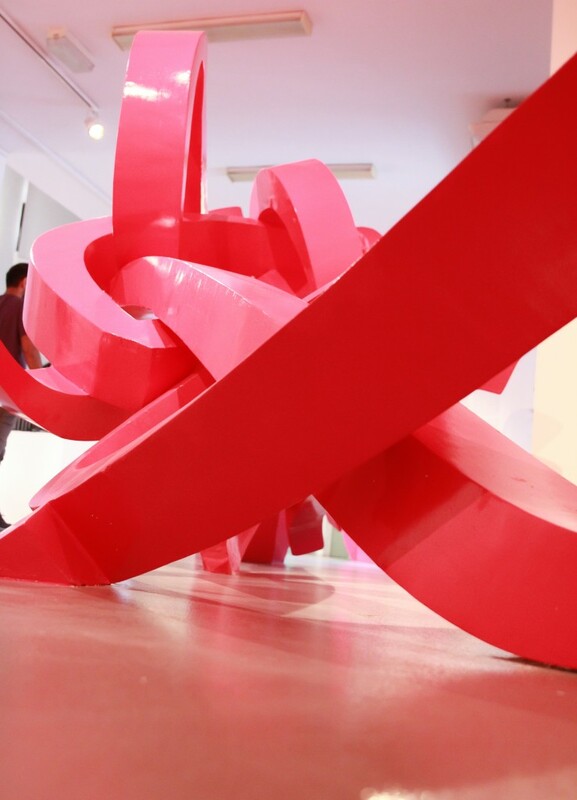 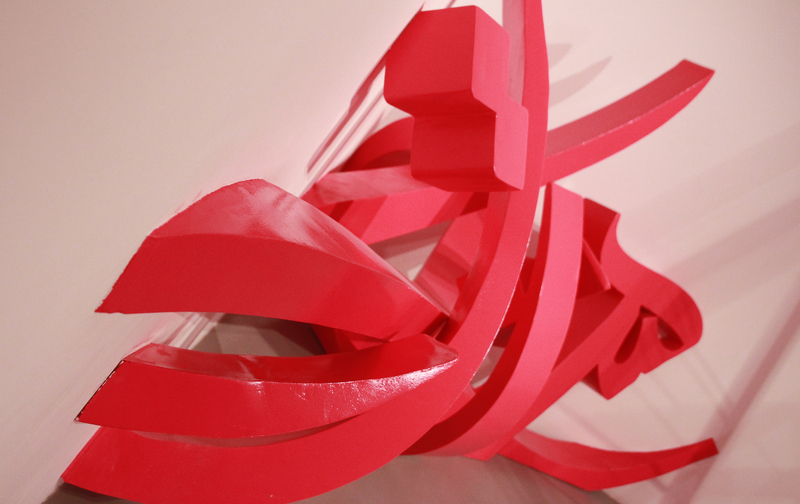 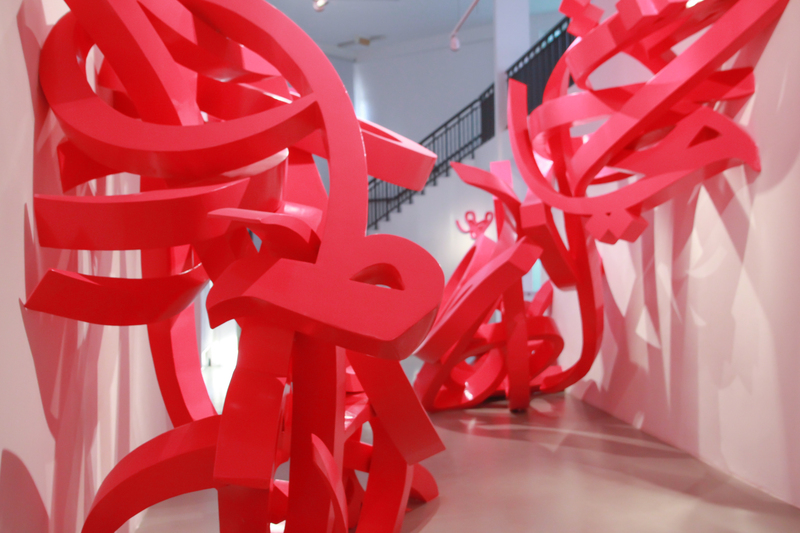 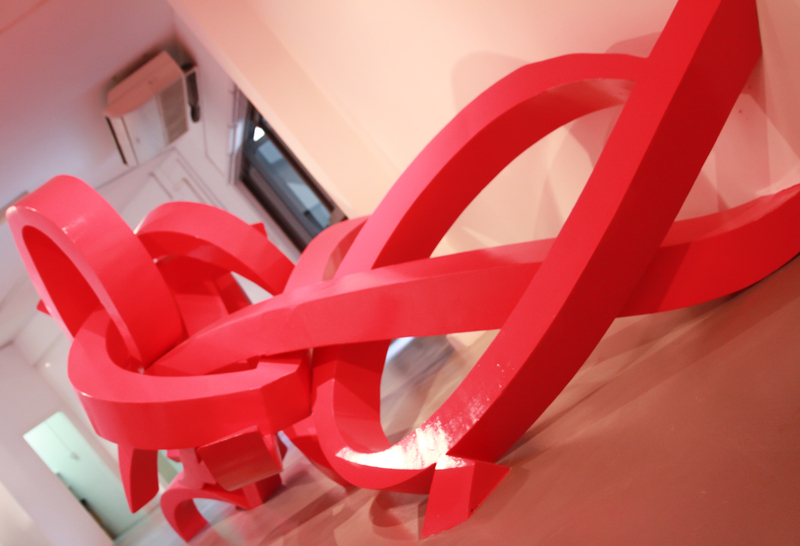 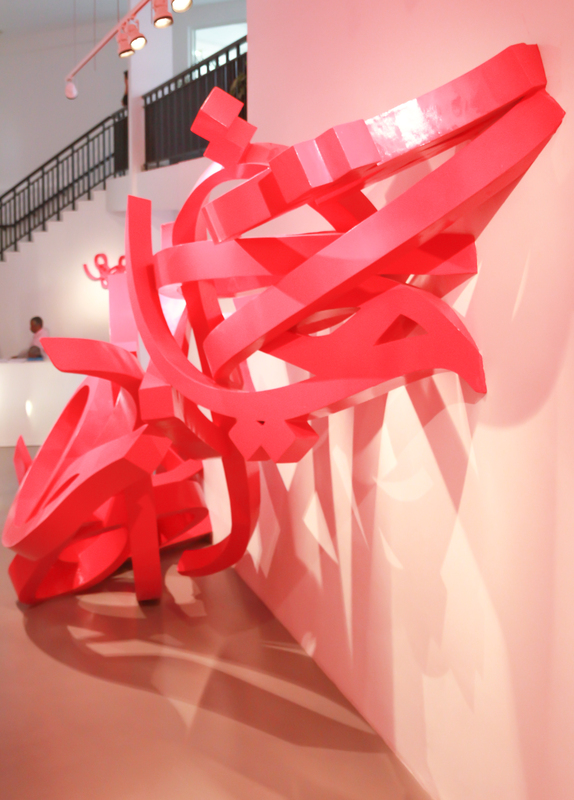 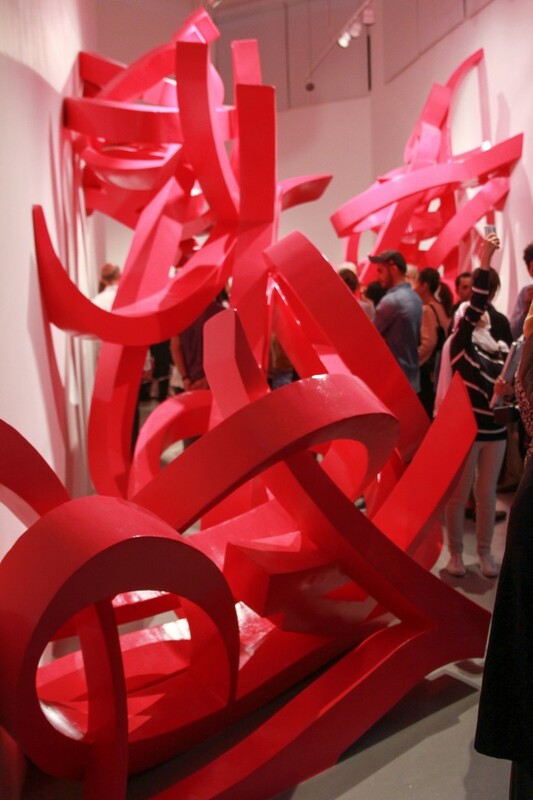 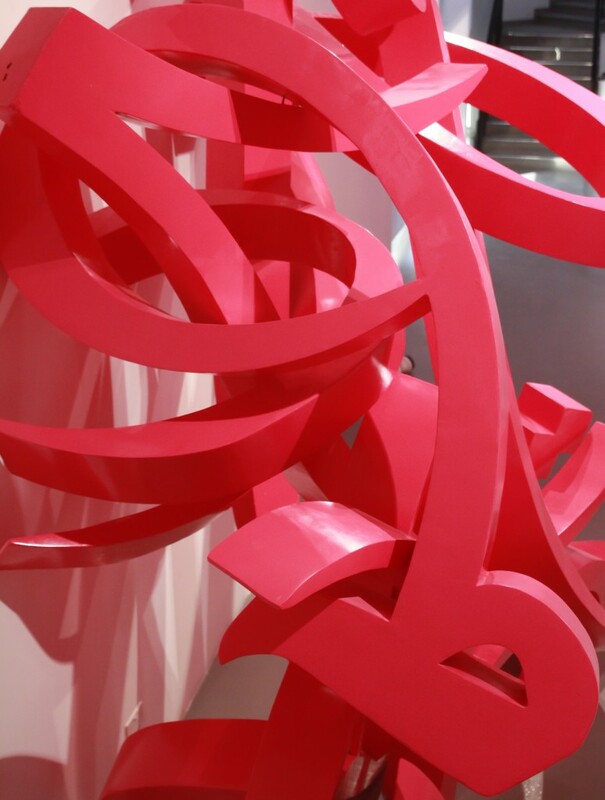 The exhibition was a move into sculptural work establishing a shift from his 2dimensional calligraphic work. 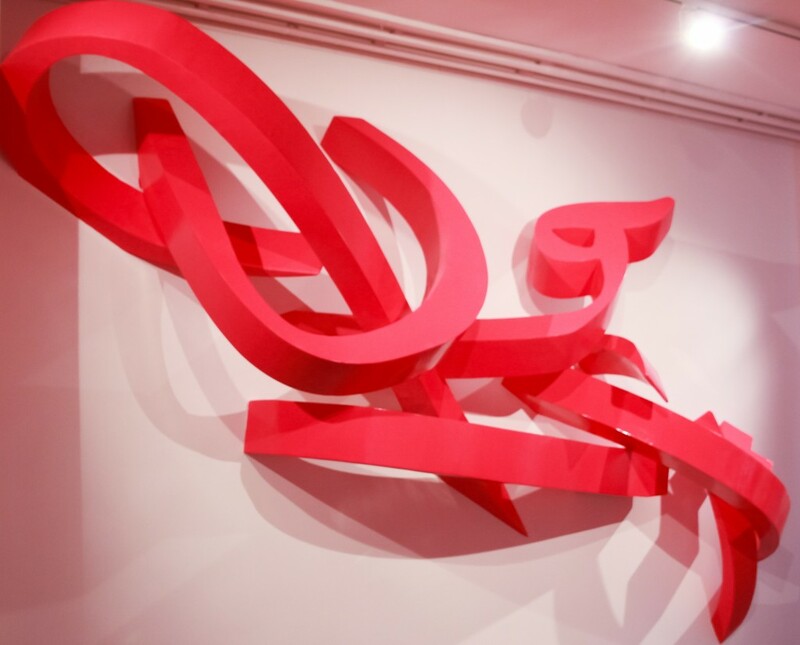 Known for large scale murals and work on canvas and paper El Seed utilized his time and resources in Dubai to bring his calligraphy to life. 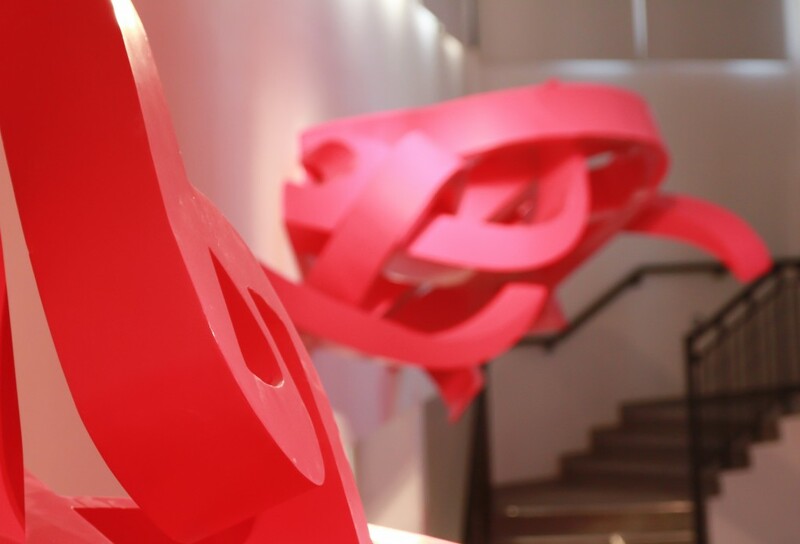 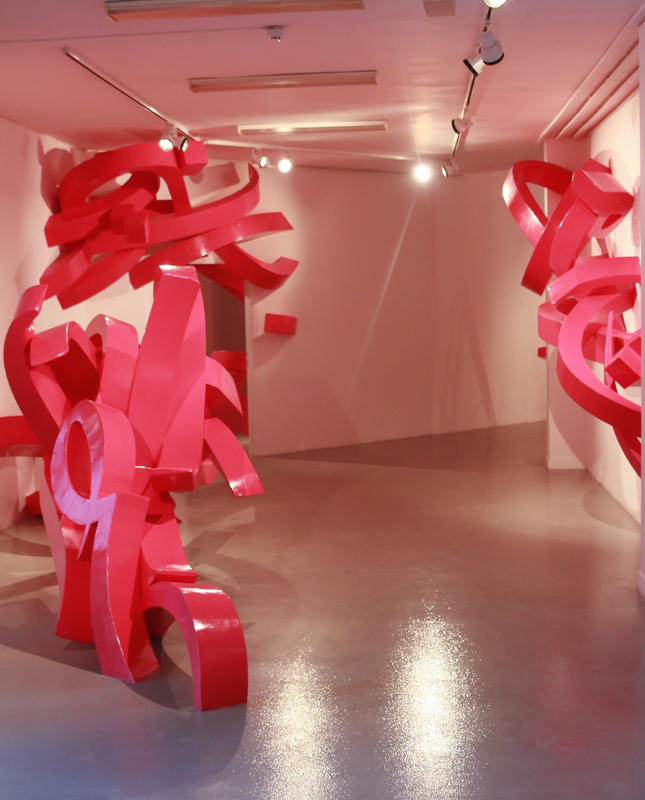 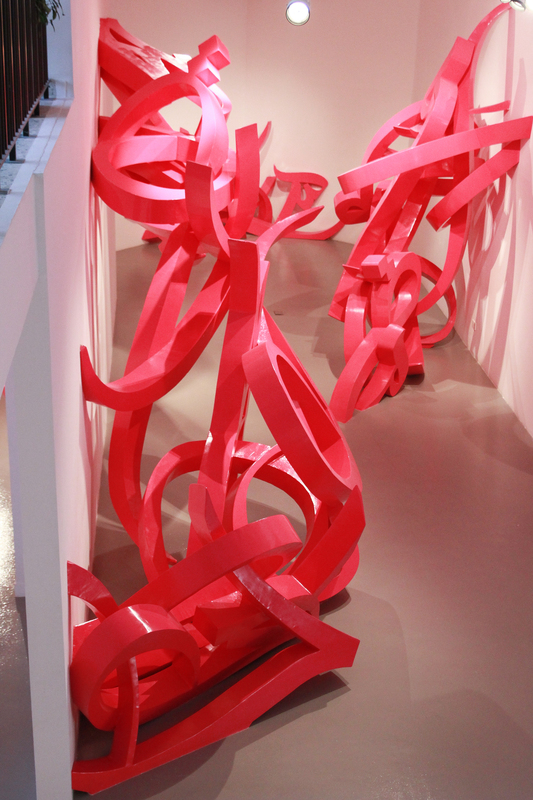 Large scale letters emerge from the walls as reliefs and stand alone sculptures. The work all in the same color Pantone 219c spelled out a love poem by Syrian Nazir Qabbani. “Declaration” is a broad jump for El Seed as he establishes himself on a new level with this work. 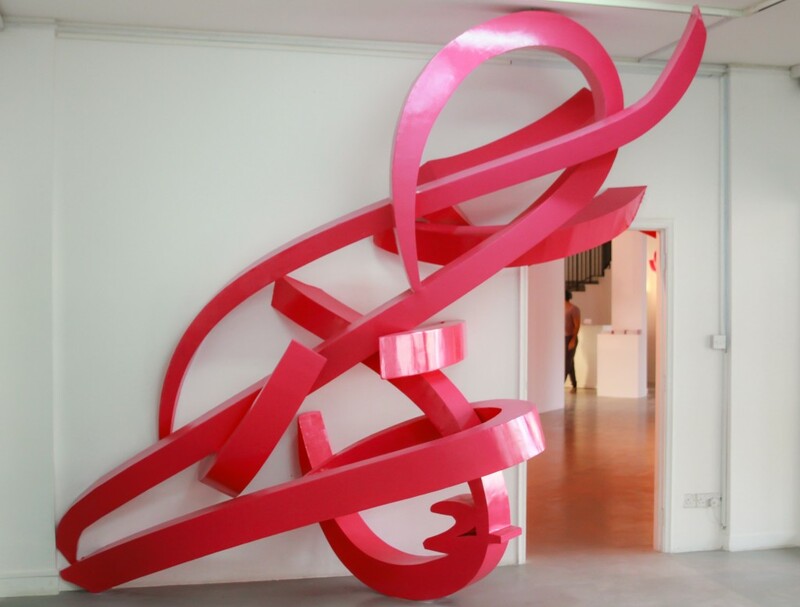 Not that scale is a measure of the power of a piece of art, and his murals are quite larger than these new sculptures; yet this new series of work towers above what he has done before. 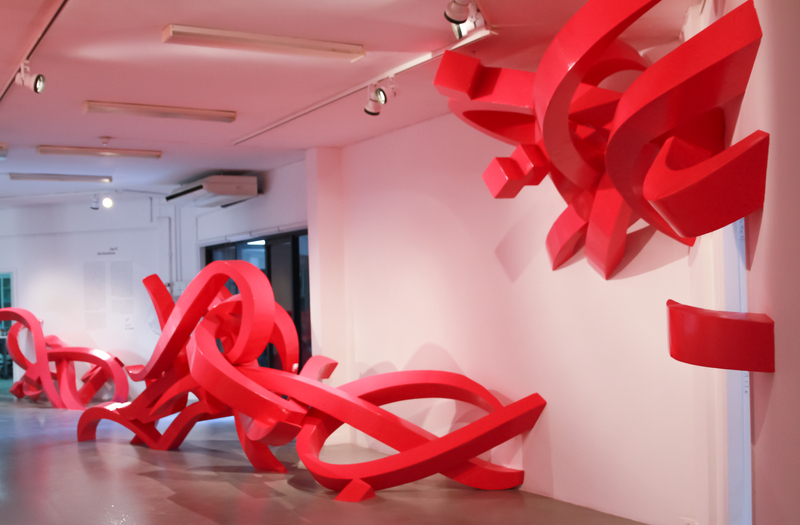 Shifting into a new territory of art making El Seed is able to effectively capture the essence of his aesthetic while at the same time furthering his reach into contemporary art. 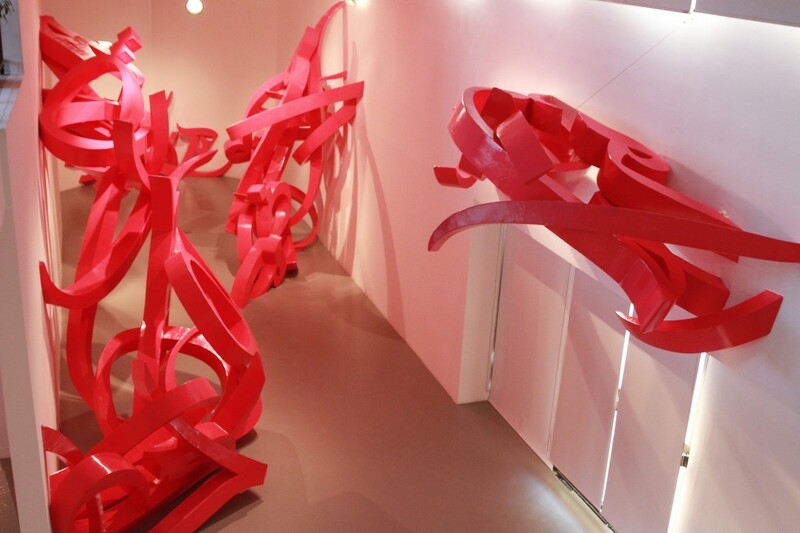 An impressive exhibition from El Seed that should be remembered as a great moment in his career. 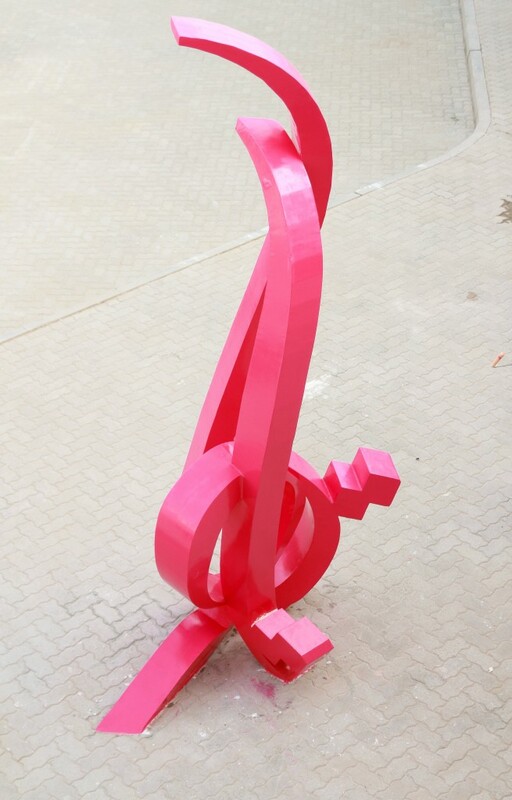 All Photos Courtesy of the Artist El Seed. 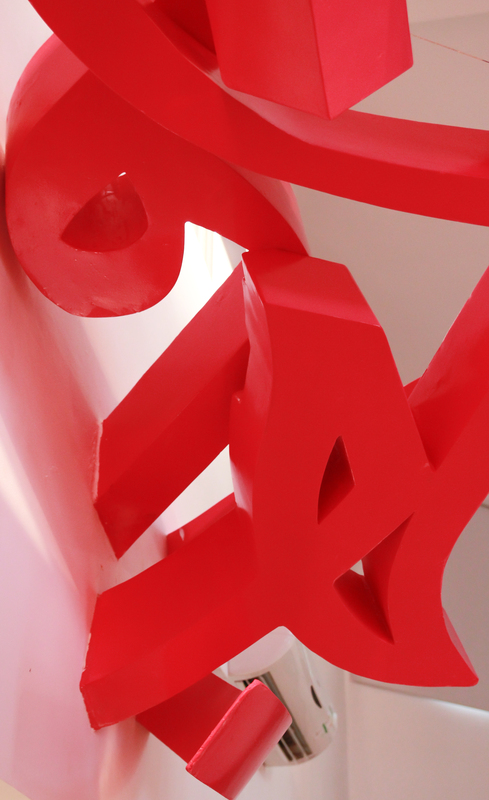 from Saturday 4 through Monday 6 October.